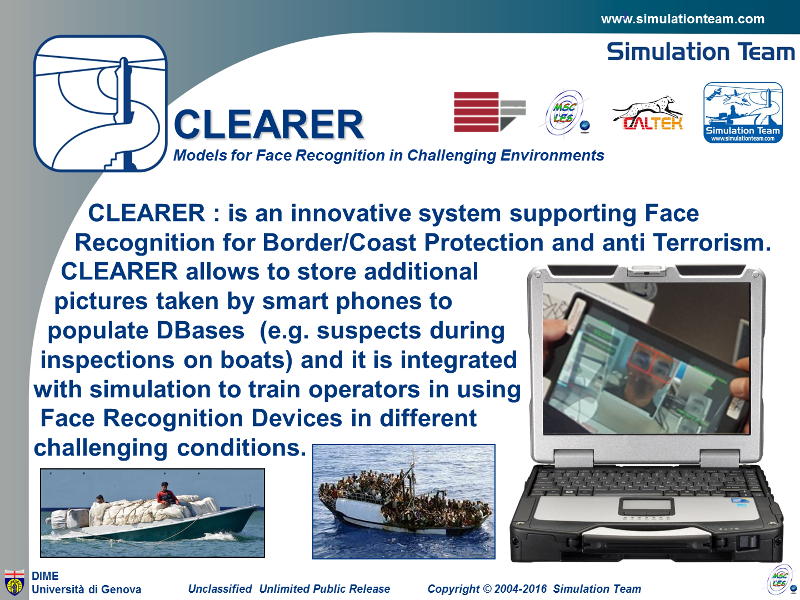 CLEARER : is an innovative system supporting Face Recognition for Border/Coast Protection and anti Terrorism. CLEARER allows to store additional pictures taken by smart phones to populate DBases (e.g. suspects during inspections on boats) and it is integrated with simulation to train operators in using Face Recognition Devices in different challenging conditions.